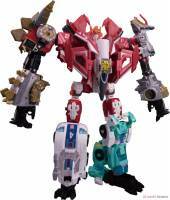 Via website 1999.co.jp, we have extra stock images of Takara Tomy Abominus And Elita-1 Combiner Torso or Elita-Infin1te. This is a nice addition to the previous great set of Takara Tomy Power Of The Primes stock images we reported recently. About Abominus, Takara Tomy Mall has listed a pre-order of all 5 Terrorcons as a set for 16,956 yen (almost $160). They are listed as a TT Mall Original “オリジナル”. There’s a picture showing Elita-1’s combiner torso mode, using Power Of The Primes Snarl, Slug, Jazz and Moonracer as limbs. You can check out the images after the jump, and then let us know you impressions at the 2005 Boards! 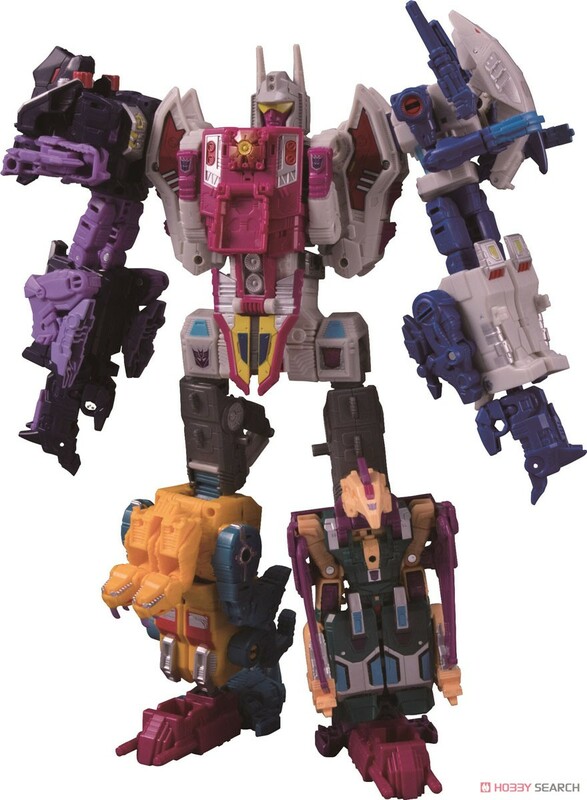 I figured as much, as those same pictures of the Takara one from the magazine have the small Primal's face colored incorrectly (just like the pre-production photos of the Hasbro version did before it was corrected). Likely showing it wasn't a final version. I told you it was a help sign from takara! Spotted one minor difference in product shots , not sure if it will be brought to final product. 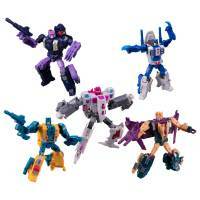 Confirmed Takara Abominus is identical. This was before the smaller Primal's chin strap was painted silver. Before then it was just blue. Good job. Maybe this is a sign that takara is gonna start some exclusives now. Like they’re held hostage and they can only communicate to us through this head detail. Takara having to be all sneaky. dammit. There is no difference between the Hasbro and Takara POTP figures. Any advantages ordering the TT version vs the US version? It’s $200+ shipped from amazon JP. $150 here in the US and a high chance of being clearanced like Fort Max and Trypticon. Only think of money. It’s purely money. Money is everything (hah get it? Abominus). Why are you insulting others? Check yourself instead and stop condescending others for their collective choices. Really not sure on this one. The comprises for a toy this large just feel to great. I think I would have been ok with it, if it was at the standard CW size. It seems he was joking, at least, I'm assuming he is, what with the movie shelf comment. Meanwhile. Thanks for posting those higher quality scans. Predaking looks awesome!